He denies the allegations "absolutely", his lawyer told AFP news agency. 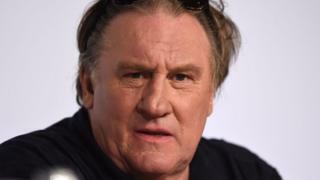 The alleged crimes occurred this month in one of Mr Depardieu's Paris residences, French media report. The actress was "devastated" by the alleged attacks, her agent was quoted as saying by French digital news service BFMTV. Mr Depardieu's lawyer, Hervé Temime, said he was convinced his client would be exonerated of any blame by the end of the investigation. "I had a long meeting with Gérard Depardieu and I am absolutely convinced his innocence will be established," he told France Info radio. Off-screen, he made headlines in recent years for attacking French tax laws, moving to Belgium in protest and later developing close ties to Vladimir Putin's Russia.